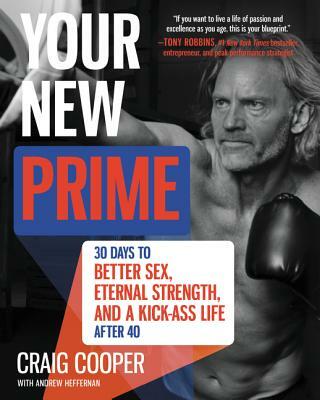 Getting older may be inevitable, but in Your New Prime, serial entrepreneur and men’s health expert Craig Cooper shows men that they don’t have to accept the “natural” aging process. Craig Cooper is a serial entrepreneur and health and wellness advocate for 40+ men's health. He is the founder of CooperativeHealth and Performance Research Labs and was the cofounder of the telecommunications company Boost Mobile USA. He holds dual degrees in law and economics from the University of Sydney and is a regular contributor to the Huffington Post on healthy aging. He lives in Newport Beach, California.